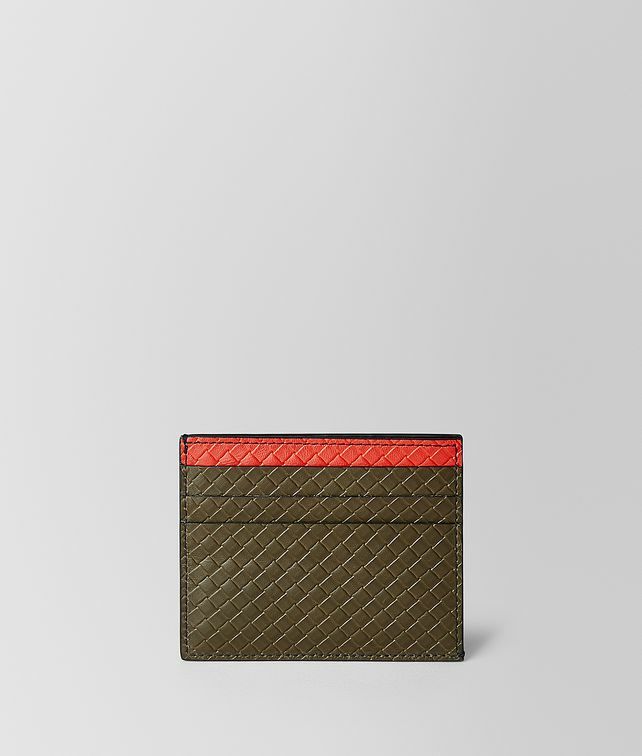 This practical card case is crafted from leggero leather that is embossed with the iconic intrecciato pattern. The top portion is made in a contrasting hue and the edges are hand-painted in black to enhance the bi-colour effect. Fitted with six card slots and an interior compartment for notes.